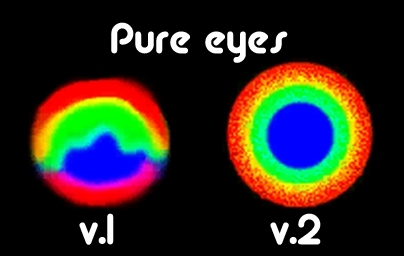 Hey guys, I’m here again after long time and I present to you my new favorite eyes – Pure eyes! Available for both genders and all ages They have 4 changeable layers Red,Green,Blue and Alpha and have 2 available versions which are different one from another by different mask file but the same overlay file (for non CTU users, colors can be changed in 2 different ways) like it’s shown in the picture! Thanks Lady,it means a lot to me! Fabulous, I really love these! BTW where is that aqua blue eyeshadow on the model from? It looks gorgeous on her! Awesome! So gorgeous. Thank you, Flajko! Wow! These are just stunning! Thank you for making them! Wooow! How much comments,they’re very appreciated! I’m really glad you all like them! I will try to make these as defaults when I have time,but I’m not sure how the coloring will work because you have 4 changable layers in contacts and (I think) only one as defaults! I’ll play with that when I return from Belgium! I’m going on a tour with a folk dance group I play in! Does anyone of you live in Belgium? We’re visiting city Hasselt as guests of a dance festival,so if you want we can meet there! beautiful eyes! and i love how realistic your sims are! These are absolutely gorgeous. Normally, I dislike painted in specular highlights, but these are so tastefully done… The irises actually seem to have dimension to them! Wonderful work. OMG! These are absolutely stunning!!!!!!!!!!!!! These are great, i’m having fun playing with colors in them, even better, i can duplicate my own eyes with the v2. If these where defaults, i wouldn’t be able to chose which version i’d want. Wow! They’re amazing! 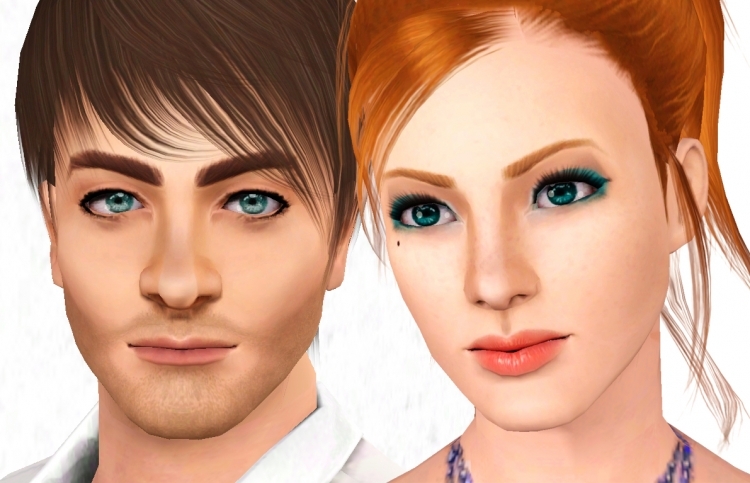 I can’t wait to use them on my Sims! Thanks . P.S. The readheaded model int the first picture reminds me of the chick that plays Holly J. Cinclair on Degrassi. Just sayin'. hey ! ladyfrontbum ! I would ask you something. Do you know if i can find hair extension to add to short hait in the game ? Straight or wavy extansion in accessories ? because a lot of short hair are really beautiful, and i just imagined them longer. If nobody did that, do you think is complicated ? I’m an eye person, I love to look at them and these are quite beautiful. They will be a definite download for me when they become defaults. Nope I’ve never seen hair extensions, sorry dylan. It would probably be hard to get the accessory to look like the hair and not look ‘fake’ and stuck on. These are so beautiful, Flajko. Can you make them in a moving format like your moving eyes, which I use all the time? I’ll try to make them moving as soon as I can even though they’ll be only for females Too bad guys can’t have moving eyes!